Hermes-Lite is currently a work in progress project heading to 2nd version. Its a DDC/DUC type SDR transceiver project based on the famous HERMES TRX. Being ‘Lite’, it is created to be a budget but High performance SDR. 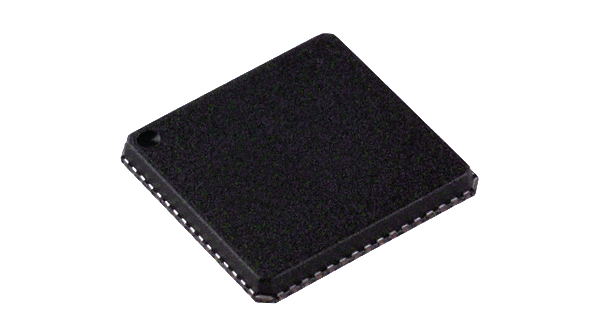 At its heart is a ADC/DAC IC AD9866 which is a 12-bit integrated device intended for cable modems which is re-purposed as a 0-36 MHz transceiver. Processing is done by FPGA and control at the computer. The project discussion are at Hermes-Lite Google group and the code, PCB files and other info resides at Github. This has been more like a dream project for me for last couple of years. I had been following this project’s Google group since 21st April 2014 (just the second day the group started operating). I started collecting parts for little over an year now. Got my PCB’s from Steve KF7O in Jan’16. The main PCB is all SMD 4 Layer while the front end board is 2 layers. AD9866 is the toughest one to solder. Its a 9mm x 9mm 64 pin LFCSP package. It doesn’t have any pins on it but has 0.5mm leads on the side edges which needs to be coincided with the PCB and re-flowed. Many suggested to take this to a PRO to have it Hot air soldered, which I did and failed miserably. 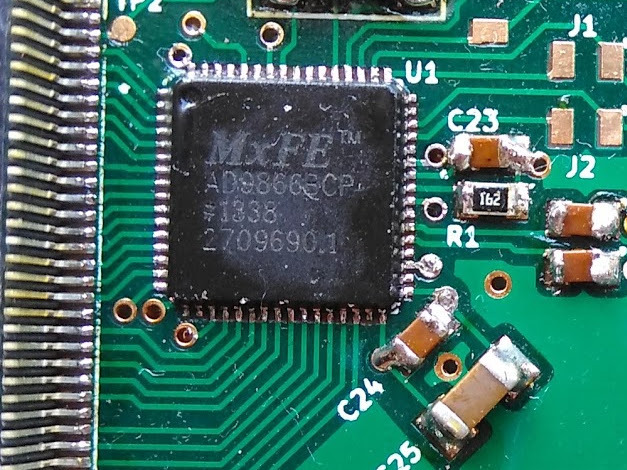 A laptop repair shop guy close to my QTH boasted about his SMD solder capabilities and BGA work, and ruined my 1st PCB and AD9866 real bad. The PCB had taken 4 weeks to reach me from US. I ordered a 2nd PCB and decided to do it myself. I stuck the AD9866 to the PCB with ‘Cello’ tape neatly matching the IC leads to the pins on PCB. 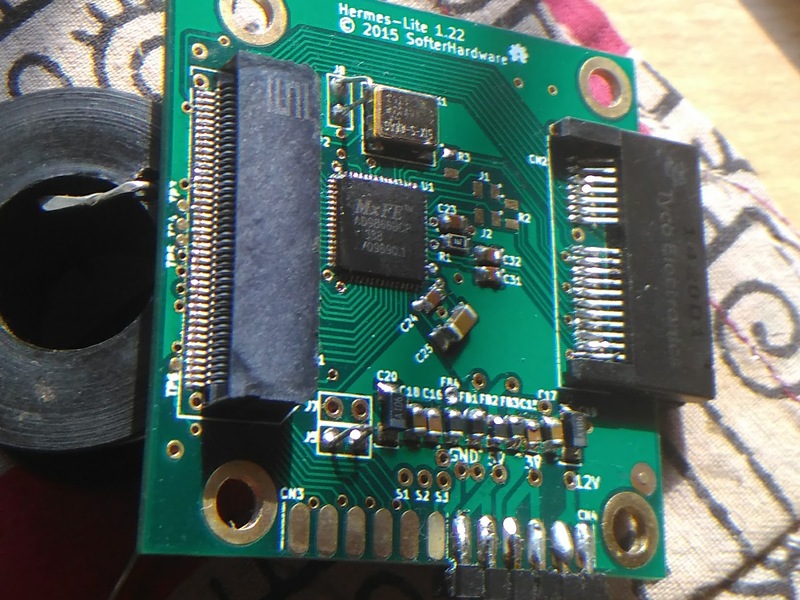 With the cheap (Rs350/$5) SMD soldering Iron called MAX 550 and a magnifier I touched all the Pins one by one using loads of flux as suggested by the legends on the group. Soldered rest of the connectors and components. Programmed the firmware on the Bemicro SDK board, and connected the SDR to LAN. SDR was detected by the OpenHPsdr software but all it showed was constant level noise across all the bands. I checked and rechecked all the connections, components, solder, but all in vein. I spent many weeks trying to troubleshoot it without success. For almost 3 months I abandoned the project, threw the boards in junkbox almost thrice and finally a week ago, I was inspecting the PCB while the SDR was powered ON, I realized touching the AD9866 IC changed the Noise floor on the software. I quickly tuned to a known broadcast station and VOILA ! I had faint reception while touching the IC!! There was indeed some life in that board. Some discussion on the project group pointed towards bad/loose or short ADC pins. Zoomed AD9866, looks neat this time, hoping success! I touched all the ADC Pins one by one with a thin piece of wire and came to conclusion that the Pin 13 gave a clear reception. I quickly retouched all the pins around Pin 13 with flux and solder and I now have a working Hermes-Lite receiver !! Have quickly populated the TX chain and tasted some WSPR and SSB transmit and confirmed reception on my Icom IC-718. I now have a working Hermes-Lite Transceiver. Further Transmit Amps are still pending to finish a everyday use transceiver. It has some cool features like running multiple receivers using the same hardware. 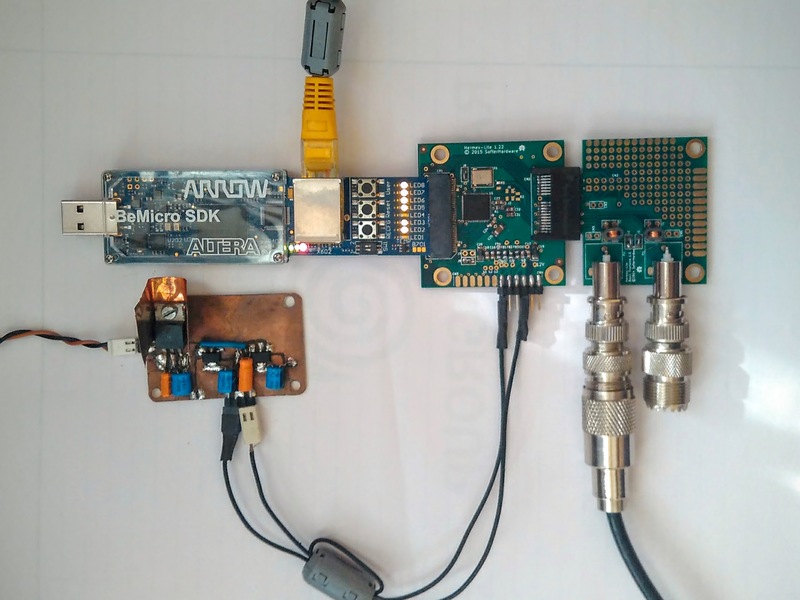 Other builders are using bigger FPGAs to run as big as 50 receivers as Skimming server for WSPR, CW, QRSS, PSK, JT65, JT9 and many other modes all at the same time. Here are couple pictures showing my Hermes-lite running 3 receivers (3 bands) at 40m, 20m and 15m. At the same time. WSPR on 15m, PSK31 on 20m and SSB on 40m. The transceiver can also be used on a mobile app remotely (using wi-fi or through a web server) as shown below. Sorry for a low quality video. What more? You can also use it as a VNA. There are further improvements are being done as the v2 of the project is nearing. Alan Hopper M0NNB is also building a software around this project which does all the multiple Digi-mode encode-decoding right inside the same software called Spark SDR (prototype is seen in pictures above). There is Pure Signal feature also being worked out which is currently available on most of the expensive Anan SDRs only. There is a lot more coming. Do leave your comments if you like the SDR, have some questions or want to suggest something in the section below. Congrats Amogh for the lovely product made by self. I am VU3SQM, Ameer khan, from Trivandrum abd is very much interested in homebrewing on HermesLite version 1.2 I know Version 2 is under development and I prefer a developed version ie 1.2.2. I would like to have your guidance in this regard. As Bemicro SDK/CV/CVA9 are not available anymore, You wont be able to build the 1.2 version. Only if you can arrange a Bemicro SDK,CV or CV A9 you can build the Hermes Lite 1.2 version.